We are the leading supplier of skid mounted, fully automated VPSA oxygen plants. VPSA Oxygen plants work on Vacuum Pressure Swing Adsorption principles. It separates oxygen from atmospheric air and produces 93-95% pure oxygen gas. This quality oxygen gas is suitable for the following process industries. 1. Pulp & Paper production industries. 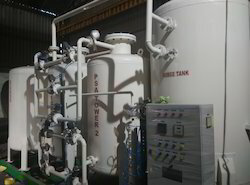 With our in-depth knowledge and experience of this industry, we are engaged in manufacturing and supplying an excellent range of VPSA Based Oxygen Plant. The Rocky Mount AirSep VPSA Oxygen Generation System has been Selected to Receive an Award at the ACEC/NC Engineering Excellence Awards. 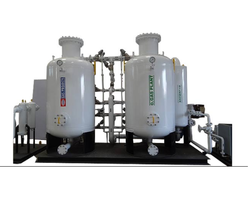 We are manufacturing VPSA Oxygen Gas Plant with air fan and vacuum generator and have quick and convenient start to stop.This oxygen plant has low automation and is user friendly. Amirtham Engineers is the dealer for Pioneer in India. VPSA Oxygen Technology is a newly developed technology which separates Oxygen from Air by adsorbent's attraction of Nirtogen. We are the leading supplier of skid mounted, fully automated VPSA oxygen plants. Start up time for this unit is only 5 minutes and after 5 minutes desired purity can be achieved.